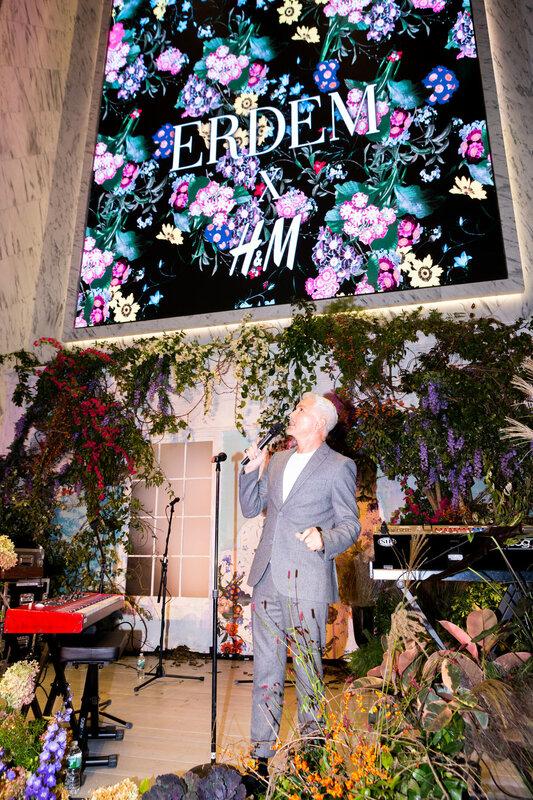 To celebrate the launch of H&M x Erdem’s exclusive collaboration, The Gathery created an event inspired by the romantic collection and Baz Luhrmann’s visionary campaign short film. 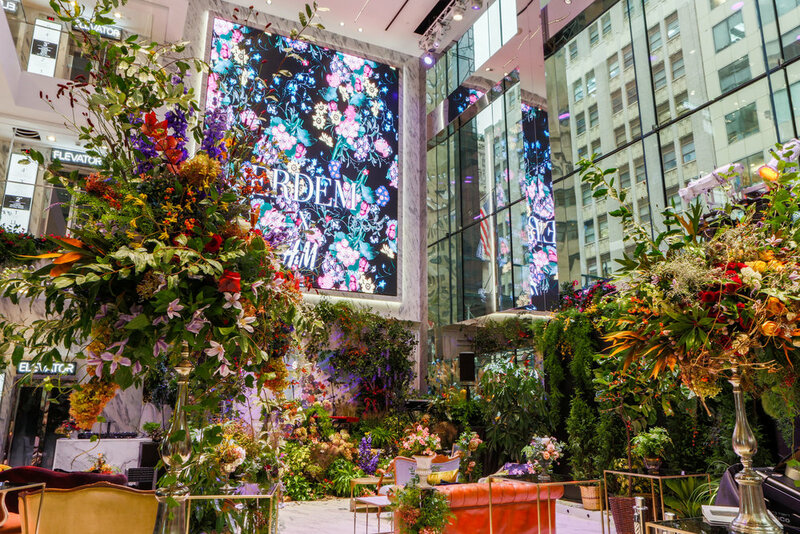 Bringing a sense of eternal spring to the Fifth Avenue flagship, we transformed the shopping destination into an immersive environment alluding to overgrown English gardens that helped bring a sense of whimsy and fantasy to the sales floor. 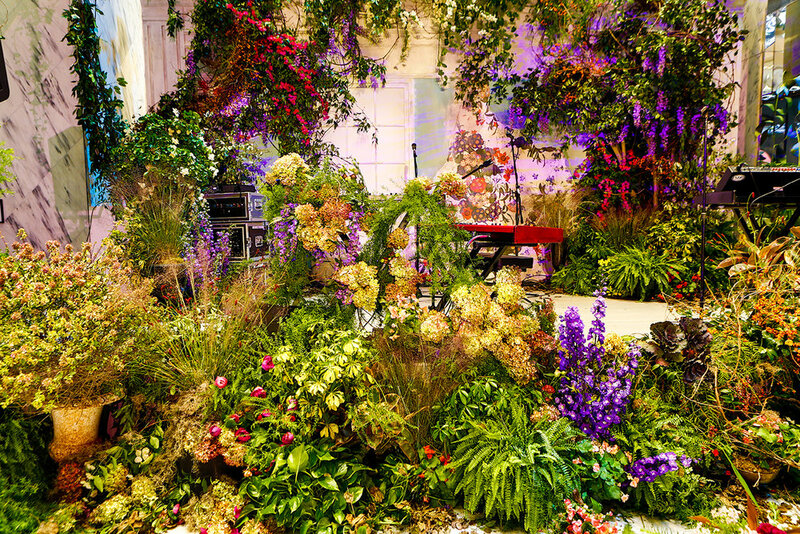 Our stage, designed like the interior of an old manor complete with crown moldings and a peeling floral wallpaper, played host to the evening’s program which included the reveal of Luhrmann’s campaign video and a vibrant performance by British electro-band Years and Years. After the show, guests were invited to pre-shop the collection at a dedicated pop-up revealed behind luxurious emerald curtains.